Welcome to our Official eBay Store! Now you can cut your own hair at home with the Original CreaClip, an innovative hair cutting tool with professional results - guaranteed! Create layers, cut children's hair, and trim your bangs. Imagine layering your hair in just 60 seconds! Straight cuts and layered hairstyles for kids and the whole family. Quick and easy haircuts at home, just clip, slide, and cut. 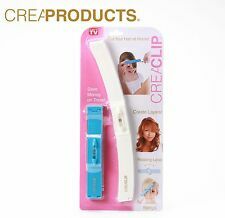 For more info visit www.creaproducts.com or Facebook CreaClip. 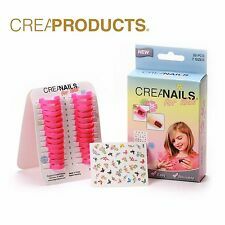 The ORIGINAL CreaNails for KIDS - Apply Nail Polish with Ease!